Last year, we made a soft touch black rigid box for a client in USA. The custom paper box was used to hold the eyelash products inside. 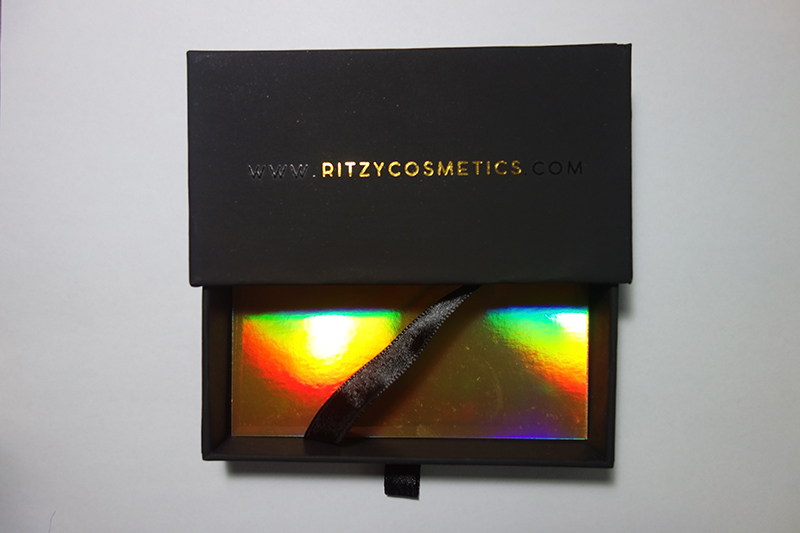 The sliding rigid paper box features the dazzling holographic paper inside the sliding drawer. Besides, it has the pulling ribbon tab outside for the easy opening of the box. Inside, a longer ribbon is attached to the box used to fasten the product. 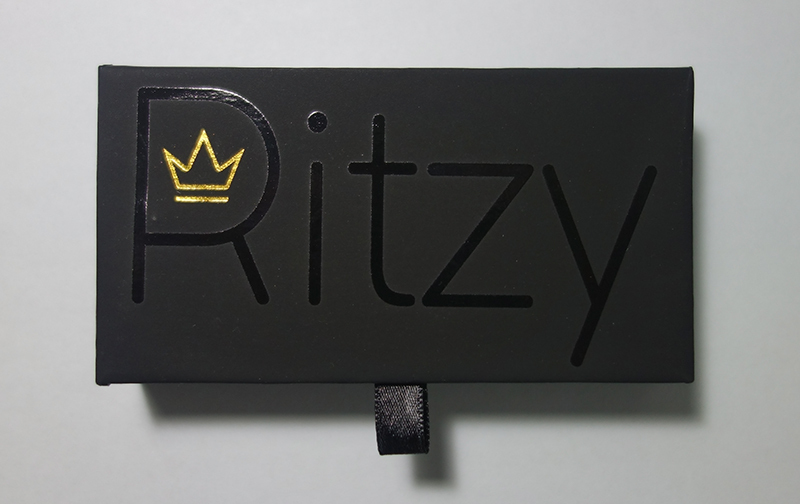 Spot UV for the brand name and gold foil for the crown logo on the custom sliding rigid paper box. Another important feature of the custom rigid box is the soft touch black paper used to wrap the paper box. The soft touch black paper has the splendid velvet feel and hue. On the top of the slipcase, the logo is glossy foil stamped, very eye-appealing. Usually, 2mm thick paperboard is mostly used for such small and medium sized custom paper boxes. It provides the best packaging rigidity and aesthetic beauty. Sliding drawer with the holographic paper inside. As a leading China paper box manufacturer and supplier, Shanghai DE Printed Box is a custom paper box manufacturer, supplying all kinds of paper printed boxes, rigid paper boxes and corrugated boxes. If you have a custom paper box to do, please do not hesitate to contact us. This entry was posted in Packaging Design on July 3, 2017 by Jane.